The measles outbreak at Disneyland in December 2014 spread to a half-dozen U.S. states and sickened 147 people. It is just one recent incident that the medical community blames on the nation's falling vaccination rates. Still, many parents continue to claim that the risks that vaccines pose to their children are far greater than their benefits. Given the research and the unanimity of opinion within the medical community, many ask how such parents-who are most likely to be white, college educated, and with a family income over $75,000-could hold such beliefs. For over a decade, Jennifer Reich has been studying the phenomenon of vaccine refusal from the perspectives of parents who distrust vaccines and the corporations that make them, as well as the health care providers and policy makers who see them as essential to ensuring community health. Reich reveals how parents who opt out of vaccinations see their decision: what they fear, what they hope to control, and what they believe is in their child's best interest. 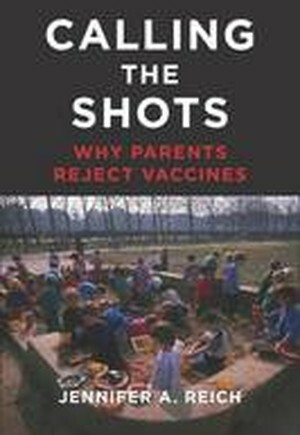 Based on interviews with parents who fully reject vaccines as well as those who believe in "slow vax," or altering the number of and time between vaccinations, the author provides a fascinating account of these parents' points of view. Placing these stories in dialogue with those of pediatricians who see the devastation that can be caused by vaccine-preventable diseases and the policy makers who aim to create healthy communities, Calling the Shots offers a unique opportunity to understand the points of disagreement on what is best for children, communities, and public health, and the ways in which we can bridge these differences.